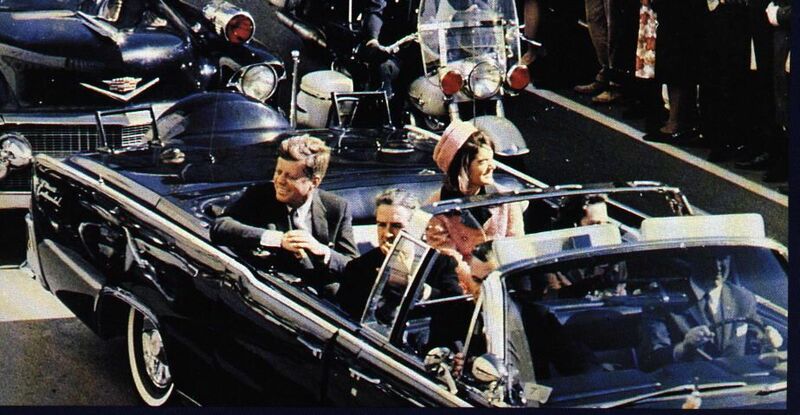 A clear majority of Americans still suspect there was a conspiracy behind President John F. Kennedy's assassination, but the percentage who believe accused shooter Lee Harvey Oswald acted alone is at its highest level since the mid-1960s, according to an Associated Press-GfK poll. According to the AP-GfK survey, conducted in mid-April, 59 percent of Americans think multiple people were involved in a conspiracy to kill the president, while 24 percent think Oswald acted alone, and 16 percent are unsure. A 2003 Gallup poll found that 75 percent of Americans felt there was a conspiracy. Poll by magazine "Welt der Wunder" : Who do the germans still believe? Almots 40% of german citizens believe that there is some sort of secret world government. Even more think, the german government is criminal - an 50% are convinced that they are completely surveilled. These are the result of a representative poll of 1005 men and women older tha 14 years of the Emnid Istitute - exclusively for the magazine. The polling institute as well as the editors of the magazine are calling the result "scary and suprising". are convinced, that the US- government ist not telling us the real truth about the attacks of 9/11, two thirds thinks the german government can be blackmailed. "Such an widespread opinion is a strong warning for our politicians," says political scientist Nils Diederich, Professor at the Freie Universität Berlin. " I am appealing to the federal government to react." Two-thirds of respondents stand by the conclusions of the 9/11 Commission, which blamed al-Qaeda for the attacks. The recent suggestion by Iranian President Mahmoud Ahmadinejad that the 9/11 attacks were a “fabrication” is rejected by a large proportion of Americans, a new Angus Reid Public Opinion poll has found. Republicans (80%) are more likely to reject the statement than Independents (66%) or Democrats (55%). Just 35% of New York State voters agree with Attorney General Eric Holder’s decision to try the confessed mastermind of the 9/11 terror attacks and five other suspected terrorists in a civilian court in New York City rather than before a military tribunal. A new Rasmussen Reports telephone survey in the state finds that 55% are opposed to that decision, which is part of the Obama administration’s effort to close the terrorist prison camp at the Guantanamo Naval Base in Cuba. But 57% are at least somewhat confident that New York City will be safe and secure during the trials of the terrorism suspects. Twenty-three percent (23%) are very confident. In the final year of his presidency, even as his approval rating steadily declined to historic lows, most Americans continued to say Bush's anti-terror policies deserve at least a fair amount of credit for preventing more terror attacks. I am seeing this everywhere. Today I saw it at the independent, but it's popping up all over the place. 23% of Germans think 9/11 was an inside job. OK First of all I have a confession to make. About 3 years ago I subscribed to the Foreign Policy magazine because I wanted to see the world from "their" point of view after seeing a lot of criticism of the CFR in the Truth Movement. I like to maintain my objectivity and be able to see both sides of an issue. I stopped receiving hard copies a long time ago but am still on their email list. I was pleasantly surprised to see the following in the latest issue. It was easy to register and post a comment. Poll: A quarter of Germans think the U.S. did 9/11? A new WorldPublicOpinion.org poll of 17 nations finds that majorities in only nine of them believe that al Qaeda was behind the 9/11 terrorist attacks on the United States. Seven years after terrorist attacks killed several thousand people in the United States, a new global public opinion poll shows that many people do not believe the attacks were the work of the al-Qaida terror network. VOA's Kent Klein reports from Washington. An independent U.S.-based group called World Public Opinion.org asked 16,000 people in 17 countries who they thought was responsible for the September 11, 2001 attacks on New York and Washington. Majorities in only nine of the 17 countries believed that al-Qaida was behind the attacks, a finding that surprised World Public Opinion.org's director, Steven Kull.